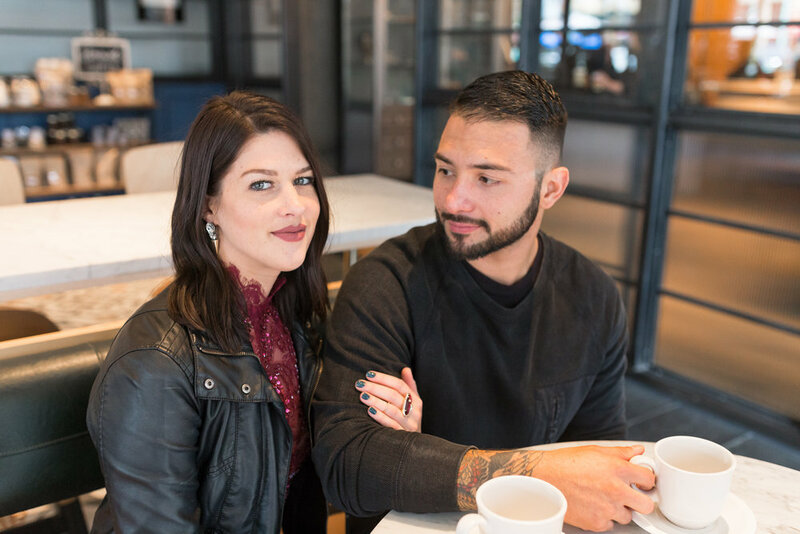 Katherine Clemins of Bordeaux BLVD wearing a Madalyn Joy Designs bodysuit with her beau, Jeisson Cuellar, photographed by Russ Heritage of Heritage Studio at the Kimpton Journeyman Hotel located in the Third Ward in Milwaukee. 2017. Most modern day relationships begin at the same place: social media stalking. Now you may think I am talking about Katherine and Jeisson; however, this story really begins with me stalking the beautiful Katherine. I believe it was some time back in spring that I had stumbled upon Katherine's Instagram and blog, Bordeaux BLVD. I thought she was so chic and fabulous so I continued to stalk her on social media until I invited her to the garden party I was co-hosting with Vicki of La Tulipe back in July. Let me tell you, Katherine is seriously the funniest person ever! I love how quirky and fun she is! She has been one of my biggest supporters and cheered me on front row at Milwaukee Fashion Week. It was obvious that Katherine and I needed to collaborate after Milwaukee Fashion Week and it was even more obvious that she had to wear one of the bordeaux bodysuits. I mean her blog name is Bordeaux BLVD after all. 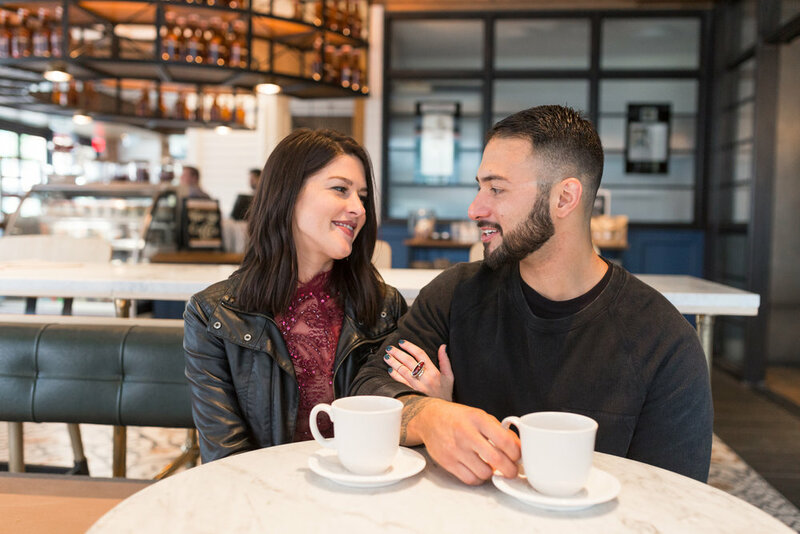 ;) It just so happened that Katherine and Jeisson's two year dating anniversary was coming up so we decided to style one of the bodysuits with a pair of jeans and a jacket for an anniversary date night look. I just adore how this look came together on Katherine! The bordeaux looks stunning on her with her dark hair! The beads and sequins on the bodysuit add that perfect amount of shimmer for a fancy date night look. Whenever I create my collections, I always photograph and style them in a very editorial way for the runway shows, but I never expect anyone to actually wear the complete look head to toe. My intentions are always for the client to take a piece, like a bodysuit, and style it in their own unique way. Bodysuits can be worn so many different ways whether it be lounging around at home or hitting the city streets for a stellar date night! Thank you so much to Russ of Heritage Studio for capturing these beautiful shots of Katherine and Jeisson! I am so glad we were all able to work together and were able to capture these moments! Happy Anniversary, Katherine and Jeisson!